A lot of wonderful things have been happening for pianist Michael Davidman, who performed on Show 234 in Virginia Beach, Virginia last year! Alum Michael Davidman will perform with the Yonkers Philharmonic in May. Photo courtesy of Charles Davidman. Michael recently took first place in the Fine Arts Orchestral Society of Yonkers’ Concerto Competition. As a result, he will be performing in a concert on May 19 featuring the Yonkers Philharmonic, conductor James Sadewhite, and WQXR’s Robert Sherman (for more info on the free concert, click here). 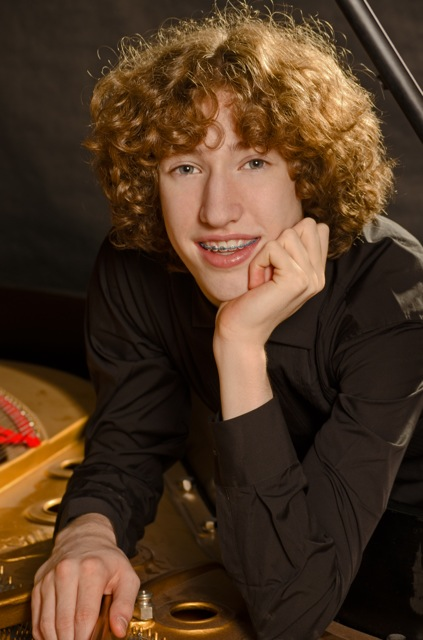 Michael also just received a Music Career Grant from the Joyce Dutka Arts Foundation, and the Chamber Music Society of Lincoln Center selected his high school chamber group to perform in Lincoln Center’s Alice Tully Hall at the 29th Annual Young Musicians Concert. He was hired last month to perform in a Classical Pianists of the Future recital (Michael’s performance is the “sample piece of the month” on their website). Michael is still studying in the Precollege Division of the Manhattan School of Music and at Hunter College High School. We hope he doesn’t stop raking in wonderful experience performing in competitions, chamber ensembles, and solo recitals!